Tammy365: Is Deodorant a Risk for Breast Cancer? Is Deodorant a Risk for Breast Cancer? 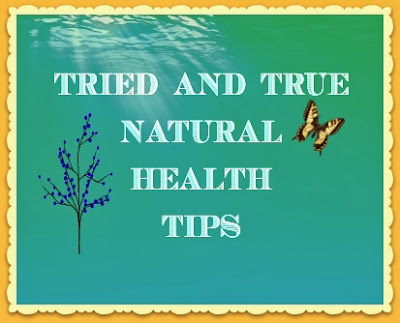 Introducing a new series of blogs on Monday that addresses health concerns and provides a first hand account of "tried and true" natural health tips. If I recommend a product, I've tried it and it works. Disclaimer: I am not a doctor and none of these tips/advice are meant to diagnosis or treat. If you have a medical condition, please seek the help of a healthcare professional. Is Deodorant a Risk for Breast Cancer? According to WebMD you shouldn't sweat it and The National Cancer Institute says NO! The fact that they would even publish articles on the subject makes me raise my eyebrow. A fact sheet from cancer.org predicts 300,000+ new cases of breast cancer this year (2013). This figures includes 39,620 deaths. Breast cancer is a huge health concern for women. The suspected health risk for deodorants are aluminum and parabens which have been found in both malignant and healthy breast tissue. How do we know if these are carcinogens or not? Good question. Some folks immune systems may be able to deal with these troublesome ingredients while others may not. We know this to be true since not every woman develops breast cancer. It's a personal choice to avoid these ingredients. As a result of a healthy lifestyle and increased awareness, I choose to wear a deodorant that is aluminum-free and paraben-free. 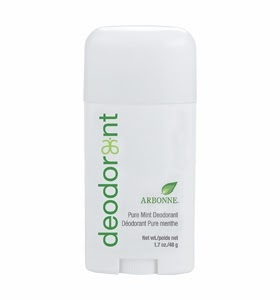 My Tried and True Natural Health Tip for Today is Arbonne Pure Mint Deodorant. An aluminum-free, paraben-free deodorant infused with mint and extracts from white tea, ginger, lemongrass, sage and tea tree that fights bad odor and helps you feel fresh all day. Baking soda and vegetable enzymes help neutralize odor, blocking the effects of odor-causing bacteria and delivering gentle, effective protection. I use this product personally. I love it! No more offensive smells or allergic reactions, just pure, safe and beneficial results every time. I have been using Arbonne products for over 10 years. If you'd like to learn more about this product, click here. To save 20% , click here to buy. If you decide to take a healthy step and purchase, I appreciate you using my consultant id 15086884.